Students do not take mobile phones into exams because they want to cheat, exam officers have said, but because they "feel anxious" when separated from their devices, the Independent reported. The number of penalties given to GCSE and A-level students for taking phones into exam halls increased by 22 per cent last year compared to 2017. Research commissioned by the exams regulator Ofqual found students "simply don’t wish to be without their mobile phones", because they are "likely to be the most expensive possession of many students and they are concerned about loss or damage". One exam officer said: “It is true I think that most students who do bring their phones into the exam room have no intention of using them to cheat or actually switching them on. Other exam officers said some students fear the phone "may be stolen if left outside" or "just don't think it's an issue because they never intended to use it". The research found students do not understand how they can be "caught" if they are not actively using their phones, as they do not realise having their devices with them breaches exam rules. Ofqual said: "The rule is very clear, mobile phones are not allowed in exam halls, regardless of how much battery they have left, if they are in aeroplane mode, switched off or otherwise. "The consequences are also clear: marks were lost in 900 cases in 2018, and a loss of aggregation or certification opportunity occurred on 130 occasions." The regulator said one of the most successful methods for keeping phones out of exams was a bag and ticket system, where phones are kept in envelopes with each student's name or desk number written on them. It comes after the boss of Ofqual suggested students do not trust exam officers with their phones. 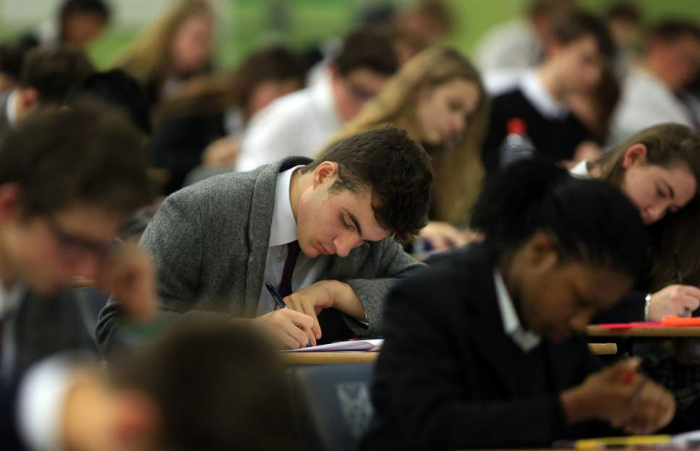 Sally Collier, chief regulator at Ofqual, said GCSE and A-level students were not handing over their phones before exams over concerns they would be damaged or lost.